Every manufacturer’s website has a dealer locator function to help you find the store nearest you. Your insurance company may dictate which supplier you choose (if you’re lucky enough to have stockings covered), so give them a call as well. BONUS TIP: Keep a record of your measurements. Take them yourself or have them taken by a trained professional at least once a year to make sure you are still wearing the correct size stocking. 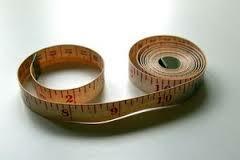 Body size fluctuates over time for a variety of reasons (whether we like it or not) and not just due to lymphedema. First, go in person. If you are buying your first pair, it’s a good idea to visit a dealer in person to make sure you are measured properly by a trained professional and receive the proper size stocking. They should be able to advise you on the various styles of stockings available that serve your specific lymphedema condition. Then, shop online. Once you are comfortable with your size and style preferences, branch out to online dealers simply by typing “compression stockings” or similar terms into your search engine. 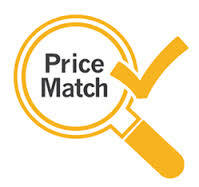 Online providers often have better prices than retail medical supply stores. Plus, nothing beats the convenience of shopping from your home and having the stockings show up on your doorstep, while your legs are comfortably elevated. Upcoming….Compression Stocking Tip #3: How to Choose a Compression Stocking Dealer. Sign up for email alerts and follow Lymphedema Diary on Facebook and Twitter, so you don’t miss any tips. Please comment and share your own compression stocking tips in the comments section. Hello Vivian! I buy from Bright Life Direct 1-877-545-8585 and D & J Medical at dandjmedical.com. Tell them I referred you and let me know your experience with them!